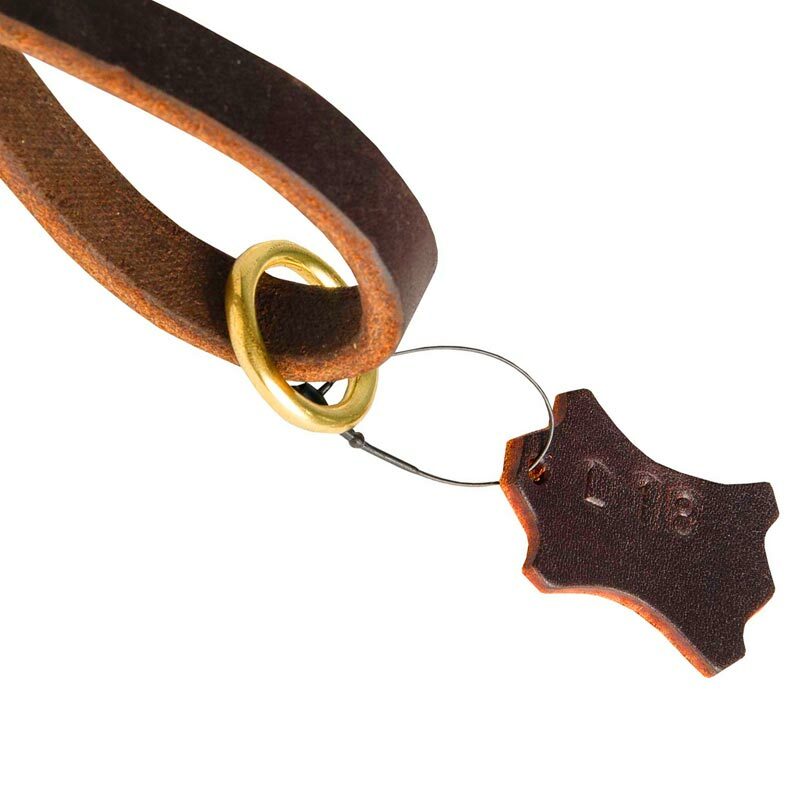 Looking for quite indispensable canine accessory? Have difficulties when taking your Dog out of the car? 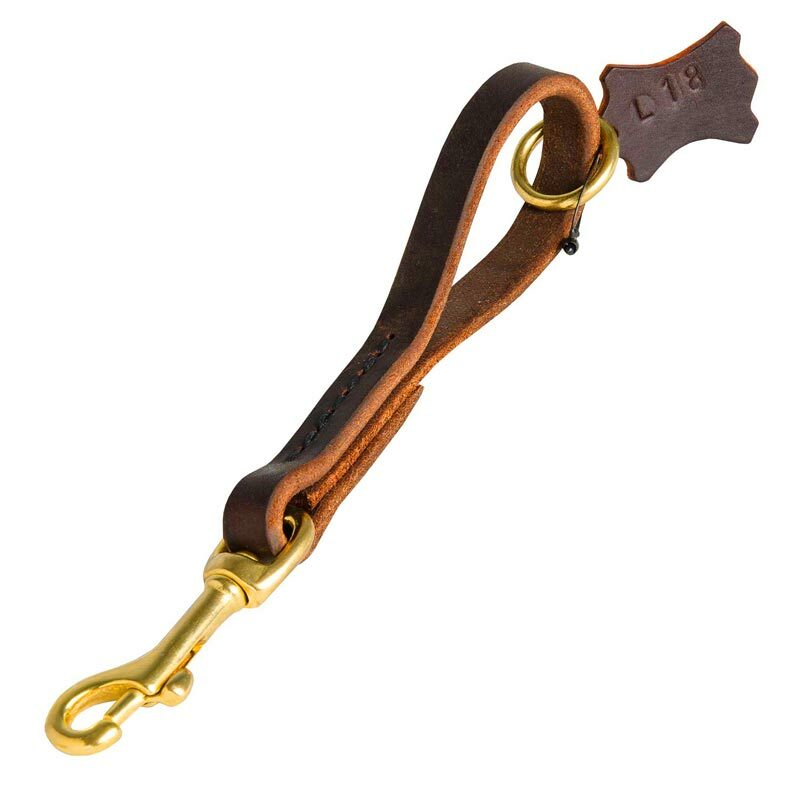 Be aware of our handmade supply shown here – comfortable short leather dog leash. This tool will be of use when you need to keep your dog by your side. It is quite important for every handle or large dog to be in control of his pet when being in public places. 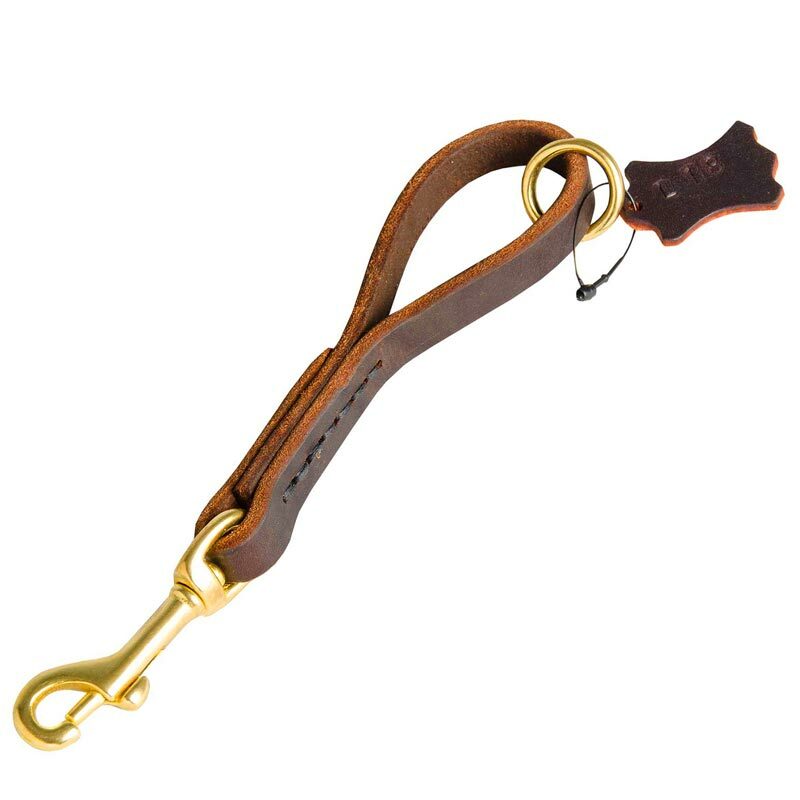 This lead- pull tab has short length so you will have optimal control over your canine. Due to the length this dog lead does not get tangled in the feet and therefore does not discomfort the doggie. At any moment you can grasp your pet by it or just attach another lead to its floating O-ring. It becomes possible for you to control your toothy friend properly and correct his behavior. It is well-suitable for large and medium dog breeds. Convenience and practicability are complemented by manual fabrication during which high quality materials and hardware are used. 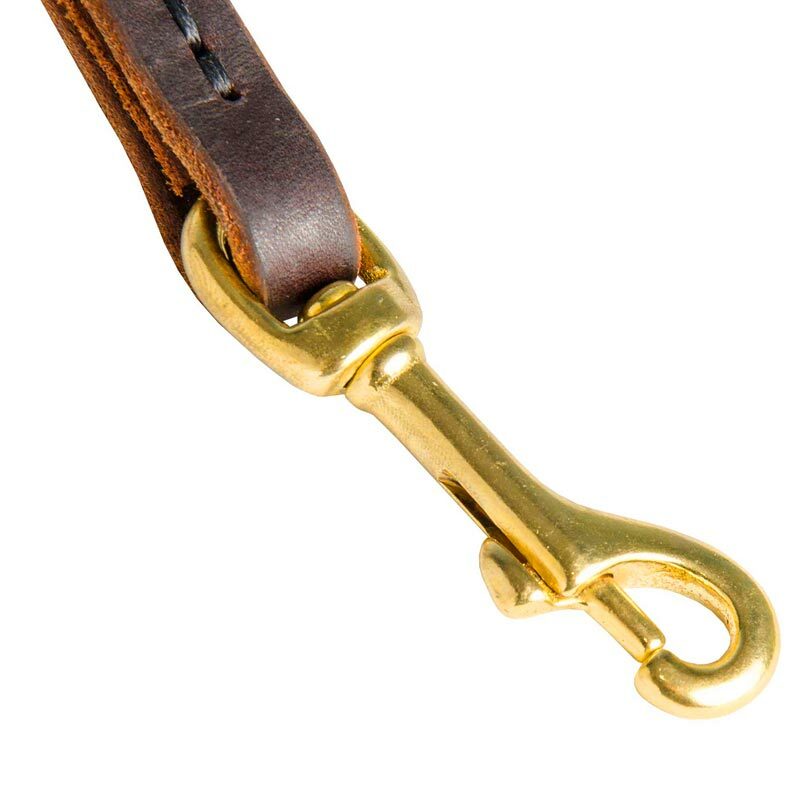 You will feel very comfortable when dealing with your Dog because the lead features soft and strong leather, carefully reinforced hand-stitching with special threads and easy-to-use snap hook. Solid O-ring on the handle is meant for attachment of another leash to lengthen the first one. Walking, training, exercising are those popular activities you can use the gear for. Its classic stylish design will lay emphasis on elegant look of your furry pal.